The perfect choice for food preparation and handling, this tunic was designed to meet the industry`s demands for hygiene and comfort. Long-sleeved style features rib cuffs for added protection. Prepared right. 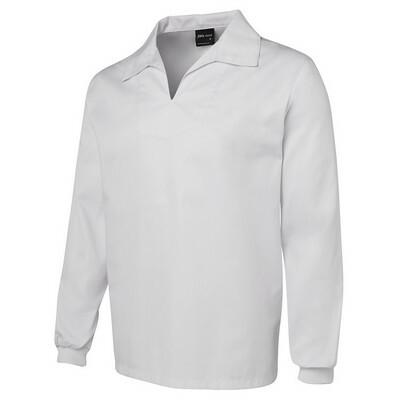 Detais: 65% Polyester for durability, and 35% Cotton for comfort, Long sleeve with rib sleeve cuff, Easy care fabric, 220gsm. Colours: White. Sizes: 2XS | XS | S | M | L | XL | 2XL | 3XL | 4XL | 5XL.